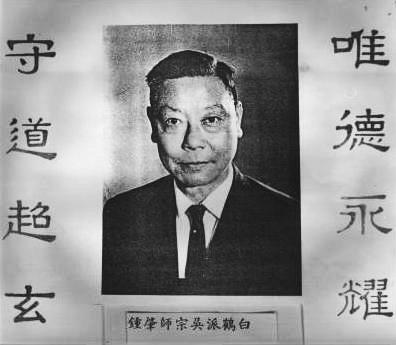 Grandmaster Ng was a great practitioner of traditional Chinese medicine. He actually came second in his course and developed a great name for himself as a practitioner. He later became a lecturer teaching mostly in Macau. He was a skilful martial artist and was challenged on a regular basis. He was not known to have lost a duel. He had many disciples Au Wing Nin, Kwong Boon Fu, So Tei Chuen, Ma Pic Wun, So Tak Sau, Chan Tou, Luk Chi Fu, Lee Kai Sun, Yip Siu Chou, Leung Chi Um, Ho Ka Chun, Chan Hak Fu, Lau Kwun Yum and Chan Cheung. One of the most noted students was Chan Hak Fu, who was from Taishan, Guangdong province, China. He began learning the Pak Hok style under the guidance of Master Ng at the age of about sixteen. Master Ng took a great liking to Chan Hak Fu's attitude and dedication to the style and accepted him as an adopted son.